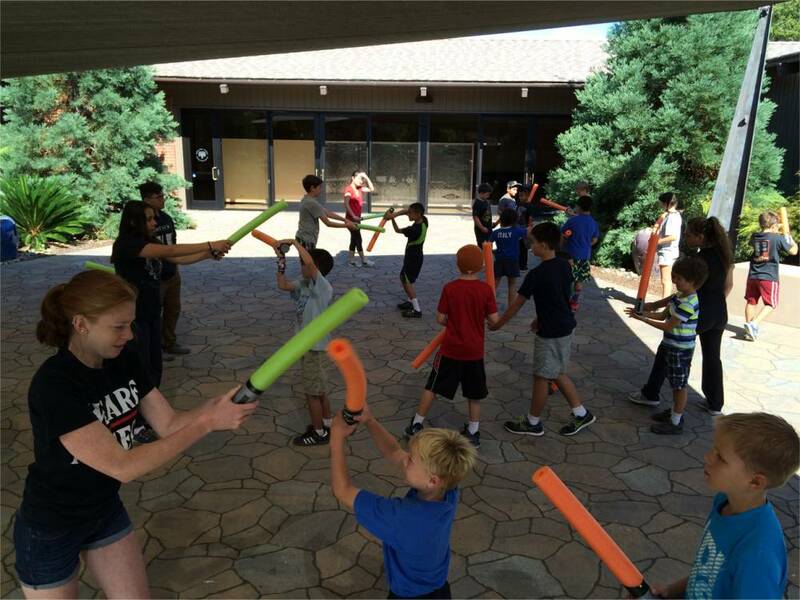 BRIEF CAMP DESCRIPTION: Menlo Park's Premier Martial Arts Summer Camp is for any skill level for kids ages 5-12. No experience required. Limited space available, so call today! We have 8 weeks of camps and 4 themes! Martial Arts, Team Sports, and more. CAMP LOCATION: We are located at the Arrillaga Recreation Center in beautiful Menlo Park. CAMP FACILITIES: We have the use of a gorgeous outdoor patio, playground, public pool, and a couple of rooms inside the Rec Center. CAMP PROGRAM INFO: Our camp is run by highly qualified young adults, Black Belts, and other highly qualified instructors. We received the Bronze Medal award from Bay Area Parent for Best Special Interest Camp in 2015! CAMP LEADERSHIP CIT/LIT PROGRAMS: If you have a child that is age 13 to 15, we may have some CIT opportunities available. Please call us for more info. CAMP SCHOLARSHIPS OR FINANCIAL ASSISTANCE: Some Financial Aid and a few Scholarships are available each Summer, so please call us for more info. We are holding weekly camps from June 19th through August 18th (except for the week of July 3-7). Each week has a theme (more details on our website) and each week of camp is $325. We do offer a $100 early bird super discount through March 31st. From April 1st through May 31st, you receive our regular early bird discount of $50 off. Go to The Best California Summer Camps Directory to Find More Top Summer Camps Near Menlo Park, California.